Welcome to the Holiday Cards and Gifts Blitz with the Rubber Cafe'! 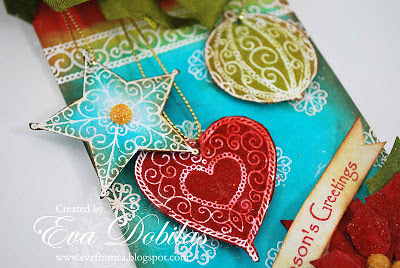 Today we have pulled together some cards, tags and projects form the whole team and wrapped it up into one big wonderful Blog post or Holiday Blitz!! 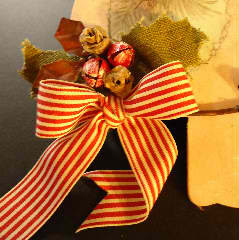 - Our hope is to inspire and motivate you to get creating during this busy holiday season that is fast approaching! 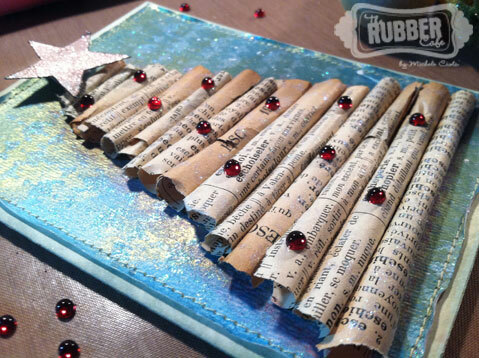 So sit back grab your favorite cup of somethin' and see what the Designers and Glue-ista's at The Rubber Cafe' have been up to! 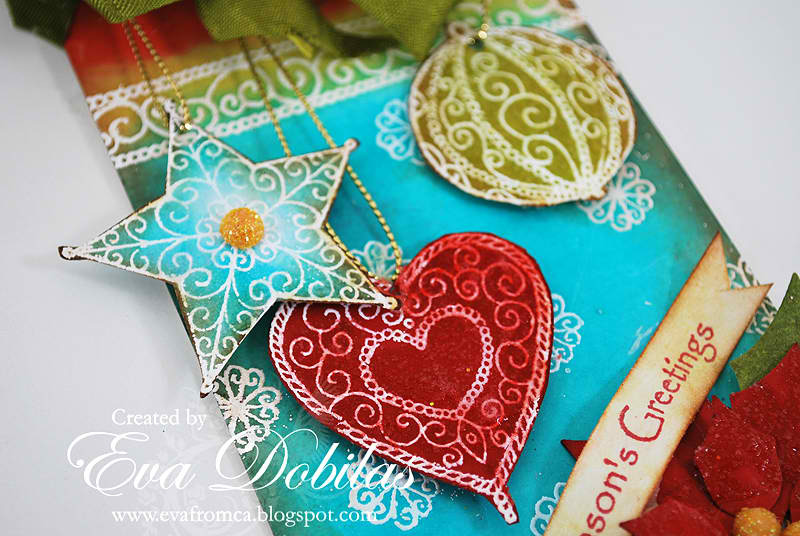 First off we have a beautiful tag from Eva Dobilas our Guest Designer this month - check out the wonderful colors and details she used featuring the stamp set, Ornamental Holiday. 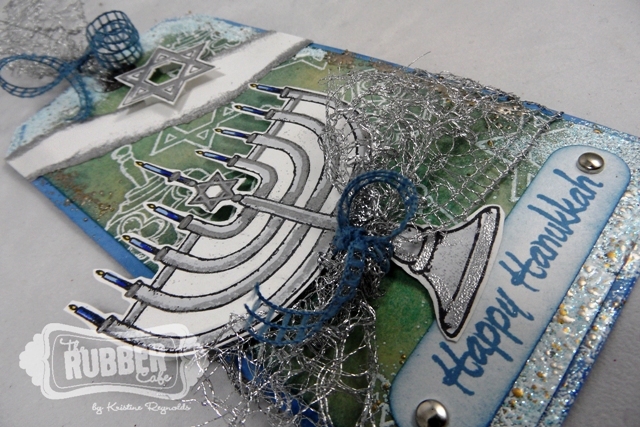 Next up Kristine made a beautiful Hanukkah Tag using Celebrating the Festival of Lights. 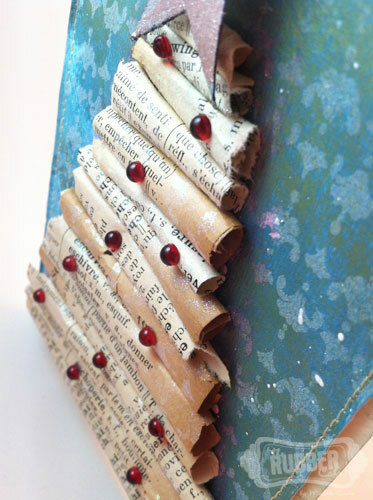 She Embossed the tag with Aged Silver and Shabby Blue Embossing Enamel. 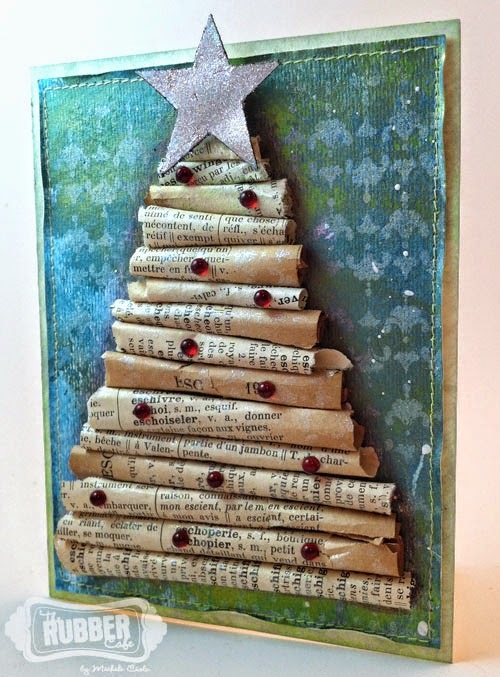 Karen created this fun holiday project using a wood cutout for her canvas, featuring this gorgeous Pine Bough Set. and our On the Fence Die. 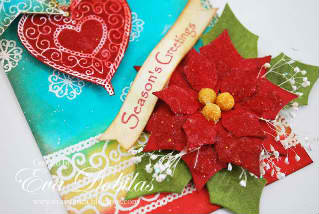 The Pinecones in this grouping were made using the Fence die! 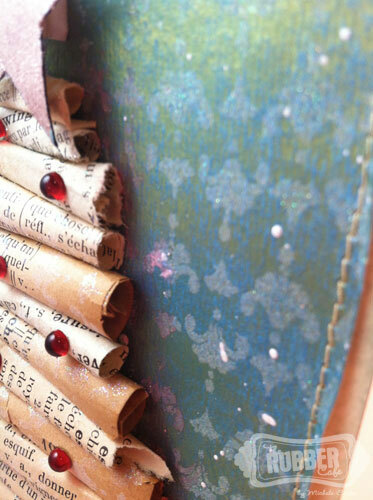 For more details - head over to Karen's Blog here. Check out Michelle's blog - for all the details. Next check out these adorable Treat Baskets made by Debbie Seyer! Debbie used the Splitcoaststampers Holiday Blitz Tutorial - Grand Treat Basket by Theresa Momber. 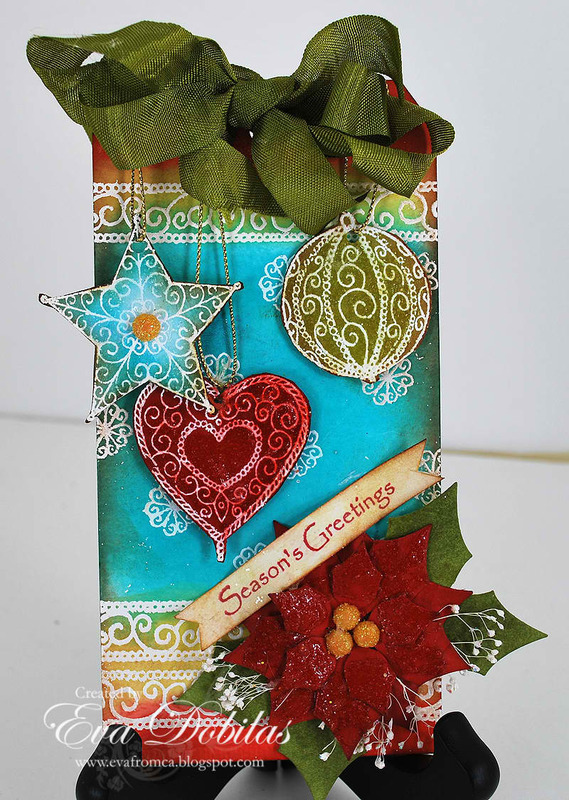 Instead of using the Spellbinders™ LF-124 Grand Scalloped Circles, Debbie used the Spellbinders™ LF-015 Grand Decorative Circles One. 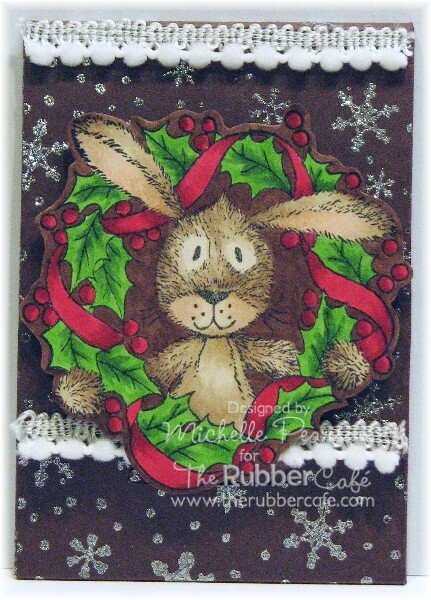 The Treat Baskets are embellished using the Christmas Tidings Stamp set. 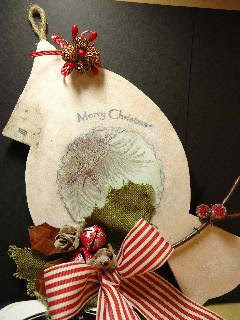 Finally we have this wonderful Altered Christmas Tree Card . . . made by Michele Ciola. Think outside of the box when making this year's holiday cards by using items that you wouldn't normally use for Christmas! 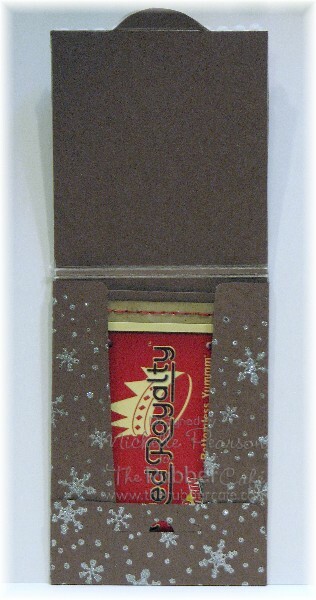 I love using products in totally different ways than what is expected. I hope I've inspired you to think outside the box as well. 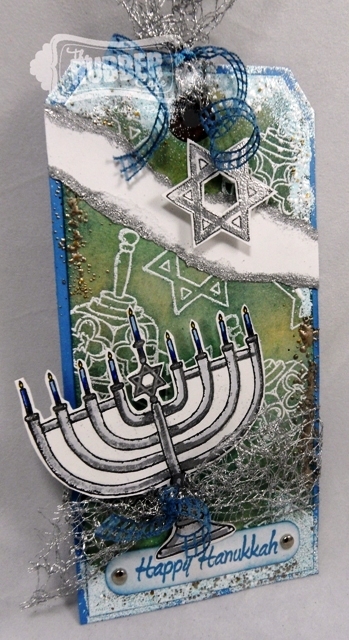 Checkout Michele's supplies for this innovative Holiday Card, here on her Blog Creative Mayhem. Thanks again for stopping in, have a great Sunday! Beautiful job everyone! Love all the inspiration. Live the colors on Eva's tag. Love all the projects. I didn't even have to see Eva's name to know which project was hers. I love her style. Thanks Everyone for your wonderful contributions to today's Holiday Blitz post! I loved them all!